Miss C turned 3 this past week. She has been very excited about her birthday for quite some time, and slightly obsessed with her cake. She has been going back and forth between ducky cupcakes and a hello kitty cake. She finally settled on hello kitty and little over a month ago. 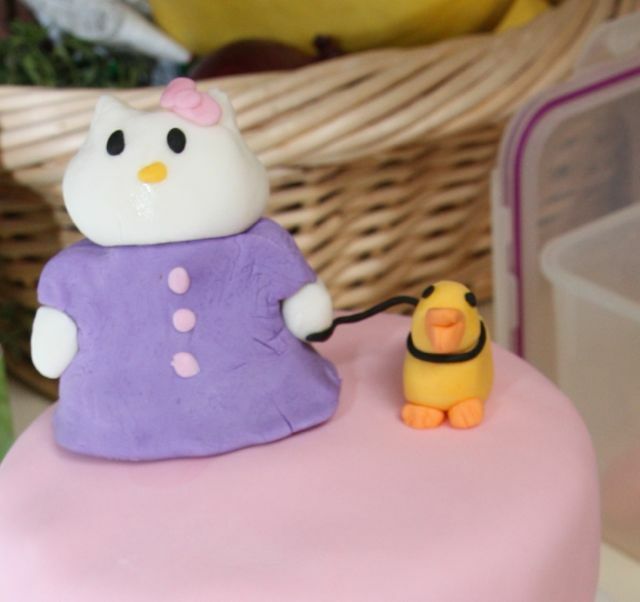 Then she informed me she wanted hello kitty walking a ducky on her cake. 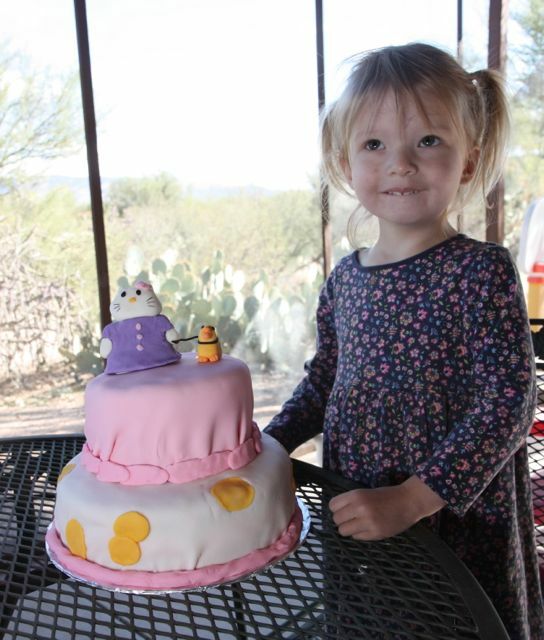 She had a great time celebrating her birthday and it seems she was happy enough with what I came up with for her cake. Miss C is such a little talker and keeps us smiling and laughing all the time as she lets us know what she has going on in that little head of hers. She is quite the thinker. More than anything Miss C loves to play mommy. She is a good little mommy taking great care of her babies, and enjoys helping me around the house as much as she can.